Meeting with Treasurer McCoy and Commissioner Hagler and other stakeholders is scheduled to discuss proposed regulations for SB 157. The Senate submitted SB157 to Governor Kemp for signature. CBA’s John McNair and John Sillay of James-Bates-Brannan-Groover-LLP Meet exlusively with Treasurer McCoy to discuss next steps for the regulations needed for SB 157. CBA’s priority bill was voted upon by the House with a vote of 168-0. The House Banks & Banking Committee held a hearing on SB 157. The bill was passed unanimously by the Committee. Starts at 39:00. Agenda for House Banks & Banking Committee was published for 3/18/2019 and SB 157 was not on the agenda. CBA’s Lori Godfrey contacted Senator Kennedy to find out next steps. Senator Kennedy contacted Chairman Morris’ office and requested that the bill be added back to the agenda. A revised agenda was sent out later in the day with our bill on the calendar. SB 157 was on the House Banks & Banking calendar for a hearing; however, the meeting was canceled. CBA’s Lori Godfrey spoke with House Banks & Banking Committee Chairman Greg Morris’ office about the next opportunity for a hearing. Given the time left in the session, Godfrey requested that the bill be eligible for a vote at the next meeting. SB 157 is first read in the House and referred to the House Banks & Banking Committee. CBA’s priority bill was voted upon by the Senate with a vote of 55-0. Starts at 1:35:03. CBA’s John McNair and Lori Godfrey along with Vinings Bank’s Clark Hungerford provided testimony to the Committee on this bill. The bill was passed unanimously by the Senate Banking & Financial Institutions Committee. Starts at 42:00. SB 157 is first read in the Senate and referred to the Senate Banking & Financial Institutions Committee. SB 157, CBA’s priority bill, is introduced in the Senate Hopper. CBA’s Lori Godfrey discusses the municipal deposit bill with Representative Dale Washburn (R), Macon, and Rep. Washburn agrees to carry the legislation on the House side. CBA hosted our Grassroots Day at the Dome. Attendees spent the morning lobbying legislators on the ropes and talking about the need for municipal deposit legislation. While bankers were lobbying legislators, CBA’s Lori Godfrey and John Sillay with James-Bates-Brannan-Groover-LLP met with Senator Kennedy and Treasurer McCoy to discuss language proposed for municipal deposit bill. Godfrey and Sillay go to Treasurer’s office for technical tweaks to bill and to gain final approval/non-objection by Treasurer McCoy. During the CBA’s Grassroots Day at the Dome luncheon, Senator William T. Ligon (R), Brunswick, met with CBA members and they relayed the importance of the proposed legislation. Sen. Ligon serves as Chairman of the Banking & Financial Institutions Committee and he expressed his support of the bill to our members. At the conclusion of CBA’s Grassroots Day at the Dome, CBA’s John McNair and Lori Godfrey and three of our community bankers met with the State’s CFO to discuss the importance of the municipal deposit legislation. Then, CBA’s John McNair and Lori Godfrey met exclusively with Legislative Counsel to provide the negotiated bill language from our meetings with Treasurer McCoy that needed to be incorporated prior to the bill dropping in the Senate. Legislative Counsel asked CBA’s Lori Godfrey to provide the electronic edits for the bill as a means to get the bill moving to the next step. . Senator John Kennedy (R), Macon, agrees to carry municipal deposit legislation for CBA. Draft bill incorporating Treasurer McCoy’s concerns is circulated to interested parties. CBA’s John McNair and Lori Godfrey along with John Sillay of James-Bates-Brannan-Groover-LLP met with Treasurer McCoy, the CFO for the state of Georgia, and Governor Kemp’s staff to discuss any concerns with legislative solution. CBA’s John McNair and Lori Godfrey along with John Sillay of James-Bates-Brannan-Groover-LLP, Nathan Humphrey of NFIB, and Clark Hungerford of Vinings Bank met with Governor Brian Kemp’s staff privately to discuss the proposed legislative solution for municipal deposits. Given the new administration, CBA did not want to proceed with a legislative solution if Governor Kemp had objections to the proposal. CBA’s general counsel, James-Bates-Brannan-Groover-LLP, developed a draft bill for the municipal deposit legislation. 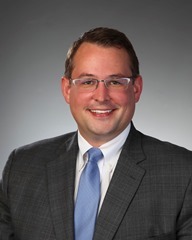 John Sillay of James-Bates-Brannan-Groover-LLP circulated the proposal amongst interested parties: GMA, ACCG, Georgia Bankers Association, and the National Federation of Independent Businesses (NFIB). Georgia Municipal Association, CBA members, and ACCG met with the Office of the State Treasurer on the potential legislation. Treasurer McCoy acknowledged that a legislative change should be the next step. CBA’s Lori Godfrey, John Sillay of James-Bates-Brannan-Groover-LLP and CBA member advocating legislative change give a presentation to CBA’s executive committee on the proposed municipal deposit legislation. CBA’s executive committee gave the go ahead to proceed with legislation; however, our bankers preferred to seek both a reciprocal and a one-way sell option for these deposits. CBA’s John McNair and Lori Godfrey discussed next steps for legislation with John Sillay of James-Bates-Brannan-Groover-LLP and CBA member. Georgia Legislature holds a special legislative session for special circumstances relating to Hurricane Michael and the state’s budget. During this time, both CBA and Georgia Municipal Association talked with legislators about the need for a legislative change relative to municipal deposits. CBA's John McNair and Lori Godfrey met to discuss the conversation with Treasurer McCoy. It was determined that a policy solution was not an option and CBA began seeking a legislative solution. Georgia Municipal Association, CBA members, and ACCG met with Treasurer McCoy to discuss potential concerns with municipal deposit legislation and to let Treasurer McCoy know that the municipalities and county commissioners want this as an option. CBA's Lori Godfrey developed legislative talking points in conjunction with Georgia Municipal Association. CBA’s Lori Godfrey held discussions with the Georgia Municipal Association regarding the need for a legislative change for municipal deposits. Established next steps and discussed the need for establishing talking points for legislators. CBA’s Lori Godfrey and their members met with Georgia Municipal Association, Association of County Commissioners Georgia (ACCG), and Georgia Bankers Association to discuss potential legislation. S.2155, which incorporated the reciprocal deposit language from S.1500, was passed and signed into law by President Trump. CBA’s Lori Godfrey sent emails to all Georgia’s Congressmen and Senators asking for support of S.1500 in its current form with no proposed changes. CBA’s Lori Godfrey sent an email to Senator David Perdue expressing our support of S.1500 and asked that reciprocal deposit language be included as a part of the package. CBA’s Rob Braswell and Lori Godfrey relayed to member advocates the need to get the municipal association involved so that the Treasurer could hear directly from them in order to move forward with legislation. CBA’s Rob Braswell and Lori Godfrey met with Treasurer Steve McCoy and Scott Austensen of the Office of the State Treasurer on the need for relief for our community banks. Treasurer McCoy indicated that he had not heard of any request by municipalities for this product and he did not want to consider any changes unless this is something the municipalities ask for. CBA member provides documentation to the Office of the State Treasurer on S.1500 and asks for consideration of deposit placement services for municipal deposits. CBA’s Rob Braswell and Lori Godfrey held a discussion with CBA member advocates on S.1500 and the inclusion of reciprocal deposits in the legislation. CBA’s Lori Godfrey had a visit with a fourth community bank that expressed the need for some sort of legislative solution for municipal deposits. CBA’s Rob Braswell and Lori Godfrey discuss the need for a legislative solution with Senator Kennedy. CBA’s Rob Braswell and Lori Godfrey held a deposit placement service discussion with member advocates for legislative change. The CBA members provided updated document so that a discussion could be held with Senator John Kennedy (R), Macon, on the topic. A third CBA member bank’s CEO discussed the need for a legislative solution with his Representative and introduced the legislator to CBA. This CEO relayed CBA’s willingness to find a helpful solution. CBA’s Lori Godfrey held a discussion with another CBA member bank about the need for a legislative change. CBA’s Rob Braswell and Lori Godfrey discussed potential next steps for legislative changes with interested members advocating change to legislation. CBA’s Lori Godfrey had a visit with a non-member bank. During this meeting, the bank’s CEO challenged Lori and CBA to find a solution for municipal deposits and to take up this legislative cause for our community banks. He said that would be reason enough for him to consider membership with CBA.